TST: Welcome Eric and congratulations on being this month’s Car of the Month! When did you first hear about TST? Eric: The very first time I heard of tristatetuners was at a meet in a rock-filled parking lot at a sandwich shop. I think Troll and some girl were handing out t-shirts there and that was when I first caught wind. Then once it caught on to the regulars at the Hamilton Dunkin’ Donuts meet, I decided to sign up. TST: What first sparked your interesting the automotive hobby? Eric: I used to race mountain bikes when I lived out west, and I was always tweaking that thing to go faster, stop shorter and take bigger bumps. It’s been in my blood since I was a teenager. TST: Nice, have you ever thought about getting into rallying cars? Erid: Nah I would like to get into it, but there are not really too many places to go practice. I’m more of a backroad kind of guy. TST: What kind of cars did you tear up the backroads with before you bought your Z? Eric: My favorite car was my (Honda Civic) eg hatch. It was stripped to nothing but a driver’s seat and a steering wheel. It never saw a mile where it revved fewer than 8k rpm. I miss that car a lot, once I get a garage big enough for the z and another car I am going to build a new one. TST: We'll stay tuned for that. What made you decided to switch over to the Datsun? Eric: Well my Hondas kept getting stolen, so I was pretty discouraged about the whole tuning scene, but I was still looking for something to keep me busy. I actually stumbled upon the Z on a forum called Nicoclub. The guy ran into some financial trouble and he was selling this car for NOTHING, so I bought it sight unseen as a fun project. I flew down to Georgia that weekend and drove her up here. TST: Theft is definitely a big problem with Hondas, especially in more recent years. What did the Z have done to it when you purchased it? And what have you added since? 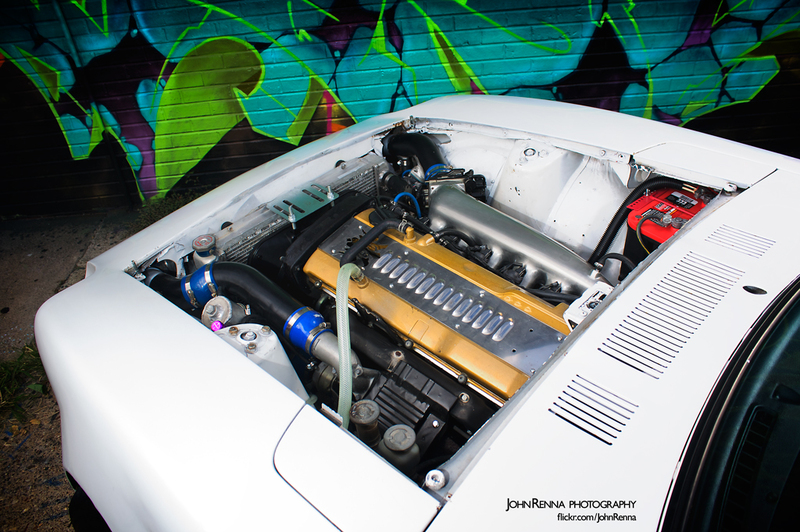 Eric: Well the Z was the ultimate project car for me because it came with the bodywork already done and the swap was running, but there was a ton more to finish up. I drove it home without a fuel gauge, tach, speedo, blinkers, reverse lights, radio, open dump pipe, untuned and a 5 gallon cell that I had to refill every 100-150 miles. Since then I have added everything that I just mentioned along with racing seats, 4pt harnesses, I polished the cage, and I took off the hundreds of stickers that the previous owner had put on. There’s still plenty to go. TST: This car was at Import Intelligence a while back; did they help you get it tuned up? Eric: Yeah I had just finished putting the front mount and Greddy intake manifold on with a different throttle body and TPS, and I just couldn’t get it to idle properly. I also needed them to do some welding for me to get the radiator and intercooler in place and finally the have the intercooler mounted properly so that the hood could open more easily. TST: Do you daily drive it? Eric: Hell no! The car may see 1000 miles a year. I wish I could drive it every day because it’s a blast, but it is just not a friendly daily driver. At least not for the job I do. TST: What is the job you do? Eric: I am a recruiter in the accounting field. Sometimes the job requires that you take clients out for lunch and to other meetings, so having a car with the gas tank in the hatch just does not fly with some of the clients. TST: I can see how the Datsun might not give the best first impression, although it would certainly win me over! Are the limited miles you put on it your way around NJ inspection? They are pretty strict with modified cars. Eric: It’s registered as a classic car, so that gets me around some of the strict rules. 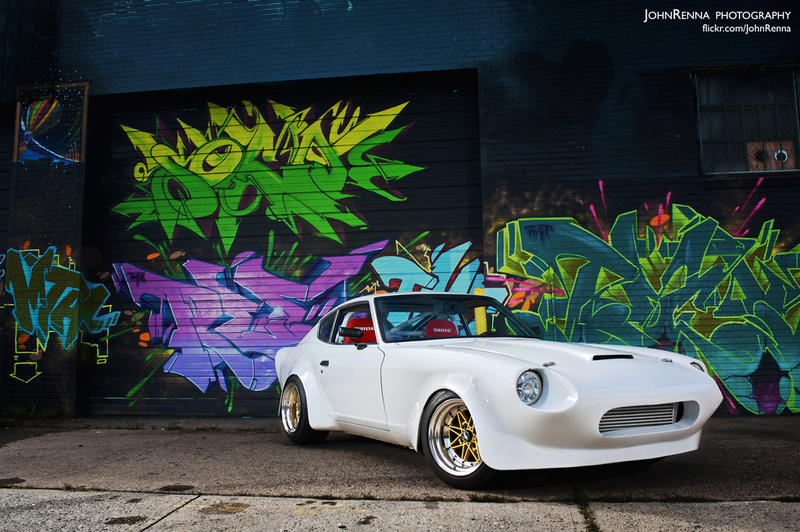 TST: The bodywork on your Datsun is one of a kind, what’s the story with it? Eric: Well as the story goes I am the third owner of the car. The first was this guy down south who was very well known for his work. This was his personal car and he was going for an import that could battle the Corvette, thus the opal taillight conversion and the molded front. It’s a completely metal kit welded to the body with half-inch thick support beams for the kit. It is very solid, and all the welds are seamed with fiberglass. The hood was shortened and the metal scoop was added with the vent conveniently located above the turbo. To be honest, when I first got the car I hated it. The paint was messed up and there were stickers everywhere; it just needed some TLC. Now that I have brought it back its growing on me slowly but I get mixed reactions. TST: That's understandable, at the end of the day it's your car, and if you like it that's all that matters. What kind of power is the car making at this point? Eric: It is a stock RB25 (Nissan Skyline single turbo motor) with bolt-ons running around 10psi untuned. Usually puts it around 230-240whp although I hoping for 300 once I get it tuned. TST: That's a solid goal. Any plans to drag/drift/road race it? I bet this would be a blast to take to Clubloose at Englishtown. Eric: There are plans but for now they will stay as just plans. This winter we will see what the potential for the car is. I am really going to take the next step to get the right parts on it to start taking it to drag and drift events. It needs a diff, fuel cell enclosure, better fans/radiator setup, and really aggressive wheels that actually fit the car properly. TST: You should make up an official member journal so we all can follow along. If you do ever part with the Z, what would you want to build next? Eric: It depends on where I am at financially. I haven’t built anything AWD yet so I am definitely going to look in that area. But after the Z I can’t do something that blends in, so I think I’m going to find a Nissan Pulsar GTIR and see what I can do with that. TST: That would definitely not blend in! If your money supply were limitless, what would your dream car be? Eric: I’ve never really given it much thought. I try to dream within my bounds. If I had to choose I would probably have to say a Veryon. Why the hell not? TST: No reason not to, that's why we always say money isn't a boundary! Thanks for taking the time to share your car with us; do you have anyone you'd like to thank before we go? Eric: The guys who came out to shoot the car last night did an awesome job, it was a lot of fun. Also Import Intelligence for the help with the motor and Justin "seeps" Spaeth (veryslows14) for the help with the car. Gentleman do what ever it takes to empty our coffers lapdances, champagne dances, shower dances. Oh the things you can buy for a handfull of bills. It makes me excited. It gives me the chills. Thell be filcher rubs, breeders, hambones and tweeners, zobos and debos and blorps that go eenah. for a one dollar bill you can pull down their zippers. I am the snorlax, I speak for the strippers! Yayyyy! The car has been completely rebuilt since this photoshoot- New suspension wheels and inteiror---I am almost embarassed at the fitment I used to have. Last edited by StreetEG; 04-26-2010 at 10:24 PM. Post some pictures up mang! definately sick! whats up with the crooked IC? No, my username is NOT from that stupid movie. its 2009 lol not 08. By now Oakes is probably making hybrids, syphlrheea. Nick is such a sensitive lad. Looking good You have come a long way since you first picked this car up, I remember reading the thread. 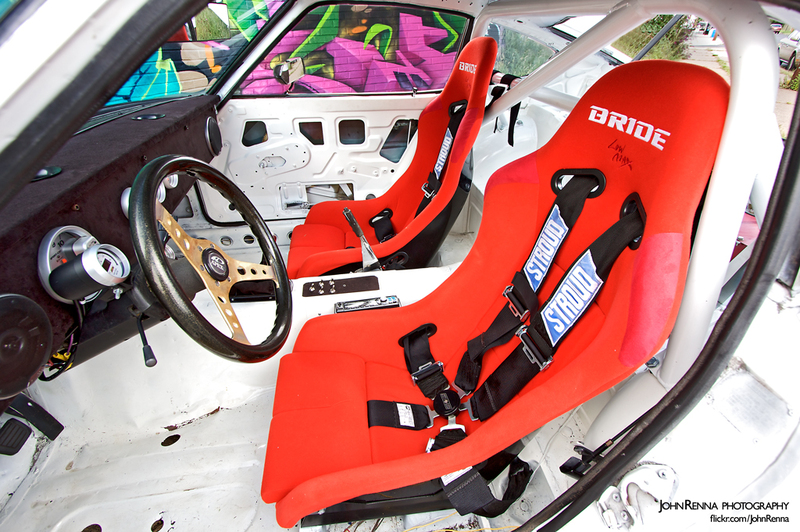 Did you go to coilovers and sectioned struts over the tokico stuff? The front of the car doesn't completely do it for me, but.. to each his own and im sure its fun. Good luck with the car and we should try to get together a local Datsun meet ;) haha. Oh PS, There was no 240z in 74, if it is a 74 it's a 260. Yeah, Sort of pissed at myself for missing that one. I Kept telling myself it was coming up, but I thought it was in Sept and not aug. I am really just trying to find someone to tune my carbs and maybe pick up a few parts. Damm this 240 is nice ive always thought about buying one and restoring it.